The Center for Politics and Public Affairs, established in 2004, fosters the study of politics and public policy. It is under the auspices of the College's Floyd Institute for Public Policy Analysis. The Center holds public and campus forums and specialized sessions dealing with a wide variety of public and political matters. In addition, it sponsors specific lectures and seminars with other institutional and community partners for the purpose of stimulating discourse on political and policy issues. In addition, the Center coordinates various fellowships and internship programs, conducts public policy and political research, publishes its own research on policy and political topics, and oversees the Franklin & Marshall College Poll (formerly the Keystone Poll), the oldest Pennsylvania statewide poll exclusively directed and produced in the state. The Franklin & Marshall College Poll (formerly the Keystone Poll) has several media partners: The Philadelphia Daily News, WGAL-TV (South Central PA), The Pittsburgh Tribune-Review, WTAE-TV (Pittsburgh), WPVI-TV6/ABC (Philadelphia),Times-Shamrock Newspapers (Northeast PA), Harrisburg Patriot-News, and Lancaster Newspapers. 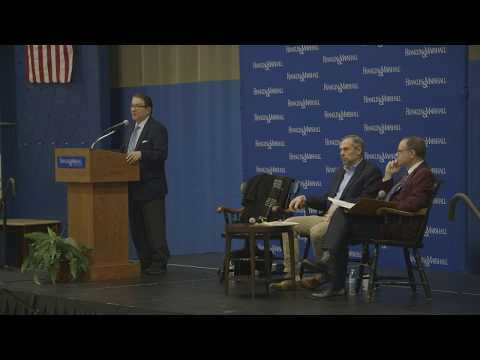 The Center is directed by Dr. G. Terry Madonna, Director of the Franklin & Marshall College Poll and Professor of Public Affairs at Franklin & Marshall College. The Center is located on the third floor of the Harris Center on the F&M campus in Lancaster, Pennsylvania. 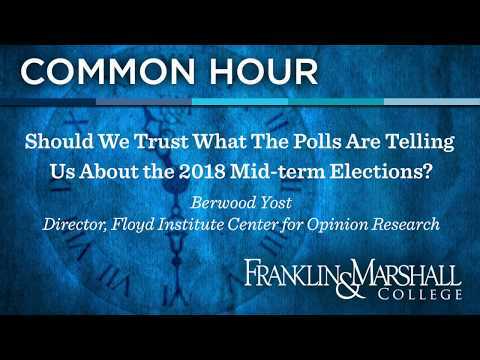 The Center for Opinion Research is the home of the nationally recognized Franklin & Marshall College Poll, which surveys citizens about public policy and political issues in Pennsylvania and nationally. Widely praised for its accuracy, this is the oldest statewide poll exclusively directed and produced in Pennsylvania.